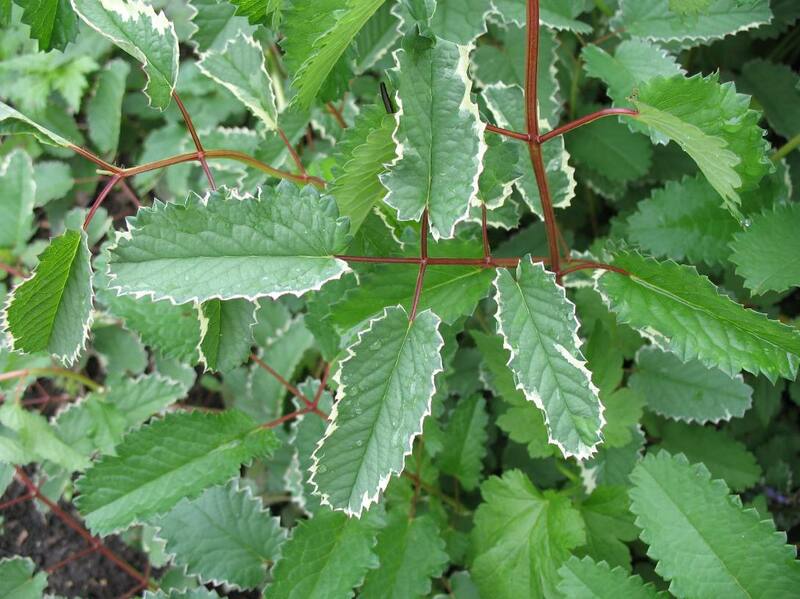 Comments: Broad, serrated foliage is sprinkeled with white along the edges. Highly-ornamental, rose colored flowers and gray-green leaves make a wonderful addition to salads and soups. This culinary herb adds a nutty, cucumber-like flavor to dishes.